September 2013: The view from the dry lake bed of the now closed Carlos & Charlies. The drought forced their closure. Water is the essence of life - without water, there is no life. Water is more precious than gold and oil. A human can survive for three weeks to two months without food, but will perish in three to ten days without water. Many people are under the false assumption that there is an infinite supply of water. The water crisis is nothing new, civilizations have dissipated because of the lack of water. The water crisis gets worse daily with the staggering rise in global population and our insatiable appetite for more "stuff" - be it more food or the latest iPhone. We all depend on water, not just for drinking, but for agriculture, cleaning, energy generation, industry, and ecosystem sustenance. The earth, entire countries, geographic regions, the USA, Texas, and the Austin metro area are facing severe water shortages - hence the need to conserve water. There's a plethora of environmental issues such as climate change, energy, and waste management that need to be addressed, but without water, we don't have the luxuries to feel a cool breeze, turn on a light at night or put our trash bags on the curb for pickup. The severe drought, resulting in low lake levels has forced Austin and cities in the metro area to implement numerous water restrictions. One of the restrictions states: "Washing vehicles at home is prohibited. If you need to wash a vehicle, you may do so at a commercial car wash facility." 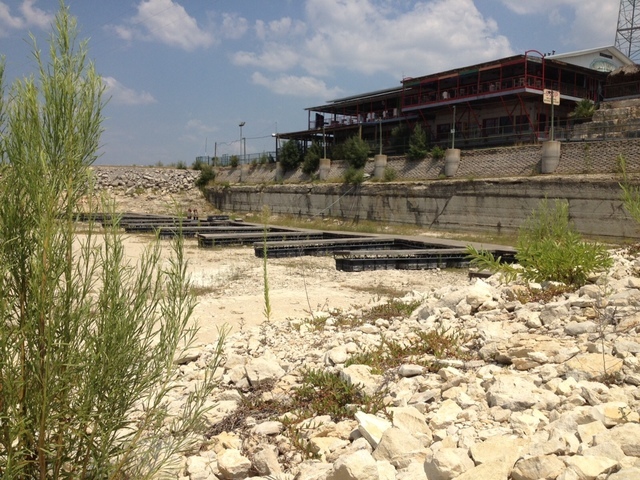 Austin Water implemented Stage 2 Regulations in September 2012, and they remain in effect. This is in response to combined storage in lakes Travis and Buchanan reaching the 900,000 acre-foot trigger in the Drought Contingency Plan. Prohibits residents and businesses from washing cars. Currently under Stage 3 Watering Restrictions. Currently under Stage 3 Water restrictions. "Car washing is permitted at commercial facilities only." Currently under Mandatory Stage 3 Water restrictions.